I never thought a book of essays about the field of medicine could engage me so thoroughly. 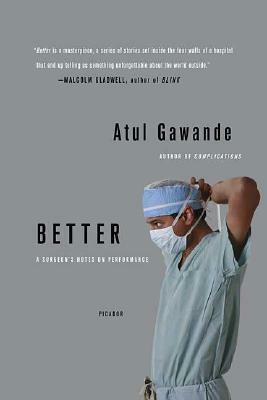 Not only is Dr. Gawande an excellent writer, he’s a gifted story teller as well. 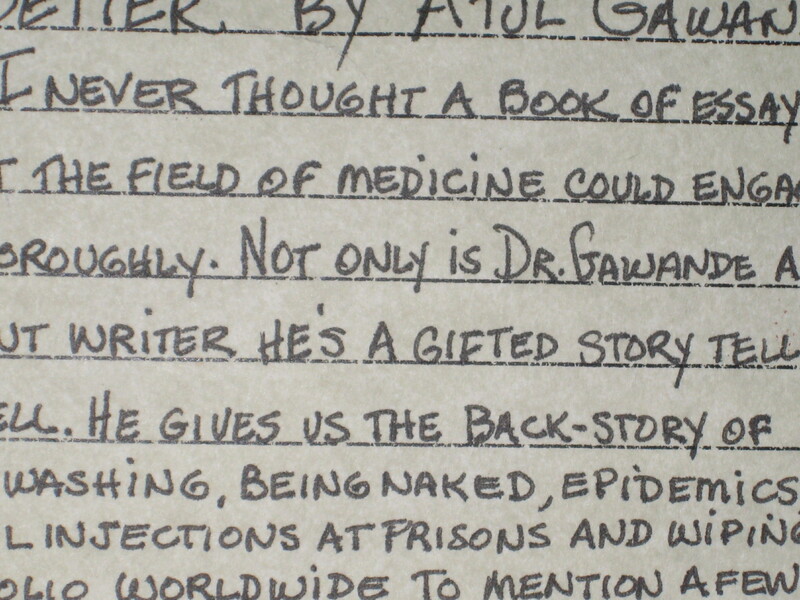 He gives us the back stories of hand-washing, being naked, epidemics, lethal injections at prisons and wiping out polio worldwide, to mention a few.